The Mad Max films (The Road Warrior is the best) featured an awesome vision of post apocalyptic Australia and some great car scenes, but the only gripe you might have is it didn't feature many Italian cars. 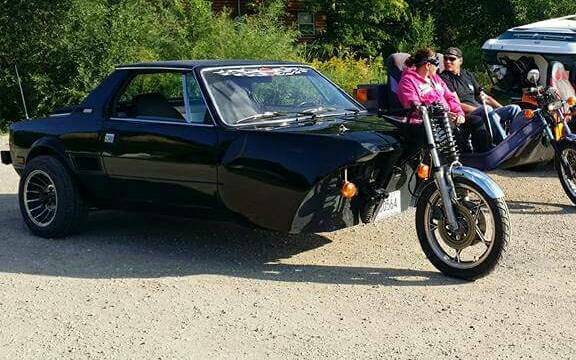 The seller of this next vehicle must have had that in consideration when he built this Fiatrike. 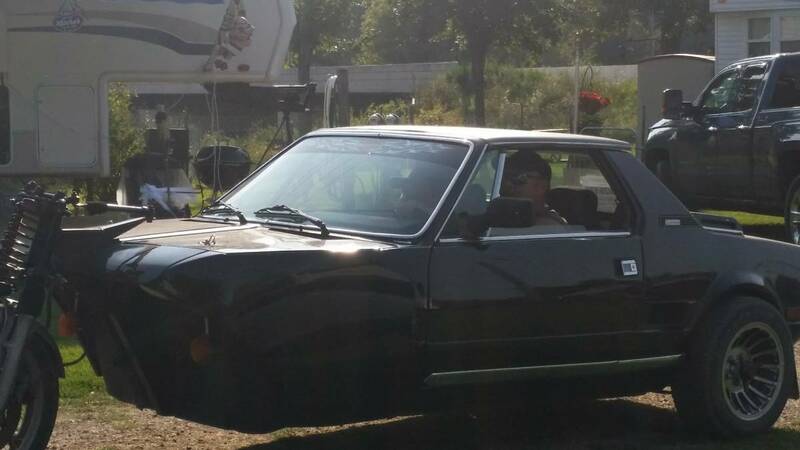 Find this 1982 Fiat X1/9 Custom Trike offered for $3500 near Rochester, MN via craigslist. Tip from Rock On! The producers feared that if the used too many Italian cars in the movie that it might get mistaken for a spaghetti western! I don’t think this is the new frontier JFK had in mind, but have to admit that this is broken in entirely new and inovative ways. It answers the question : what will I do with this old X 19? How do you nail "collector" and "removable" and botch fuel, tire, and brakes? So I guess it’s got a new front tier but the original back tier? Maybe? How can that mess be street legal? I felt a wave of depression and a touch of nausea. What a sad end for a X1/9, reminds me of The Fly for obvious reasons.